Byzantine Chain Bracelets 5,0 mm solid 925 Sterling Silver! Byzantine chain bracelet lenght 17,0 cm, a nice bracelet for men and women. The Byzantine chain bracelet made of 925 Sterling Silver with brightly polished surface and diamond covered edges, a nice bracelet for men and women. 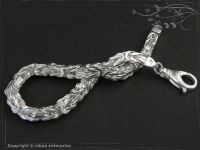 Byzantine chain bracelet lenght 18,0 cm, a nice bracelet for men and women. Byzantine chain bracelet lenght 19,0 cm, a nice bracelet for men and women. 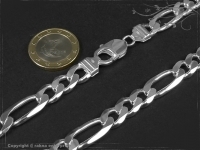 Byzantine chain bracelet lenght 20,0 cm, a nice bracelet for men and women. Byzantine chain bracelet lenght 21,0 cm, a nice bracelet for men and women. Byzantine chain bracelet lenght 22,0 cm, a nice bracelet for men and women. Byzantine chain bracelet lenght 23,0 cm, a nice bracelet for men and women. Byzantine chain bracelet lenght 24,0 cm, a nice bracelet for men and women. Byzantine chain bracelet lenght 25,0 cm, a nice bracelet for men and women.